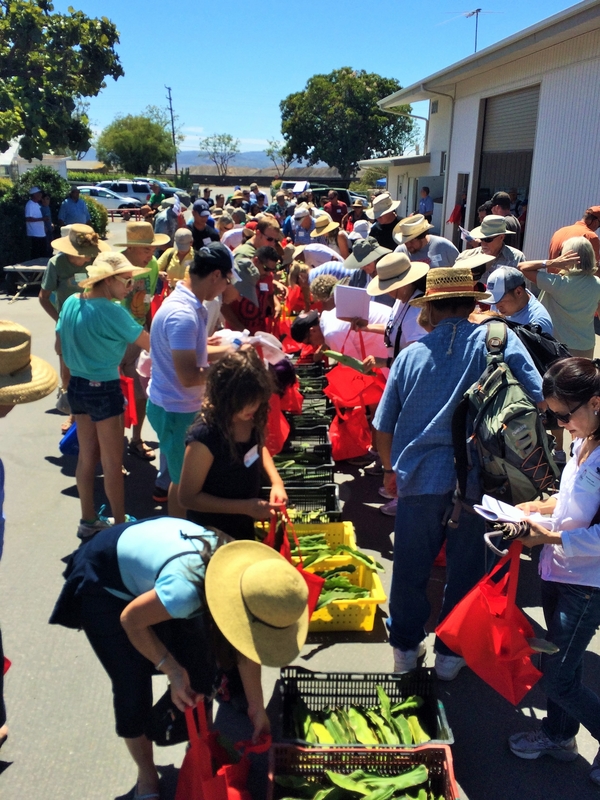 Last weekend, The UC ANR South Coast Research and Extension Center and the San Diego County UC Cooperative Extension held the annual Pitahaya Field Day at the South Coast REC in Irvine, CA. Over a hundred people were in attendance for the event, which included tours of our two pitahaya research projects and a number of lectures given by prominent growers. Ramiro Lobo, Farm Advisor - UC Cooperative Extension, presented many of the varieties he grows in his research project at the Center. He and a member of the California Rare Fruit Growers also demonstrated proper pollination techniques for better fruit set. 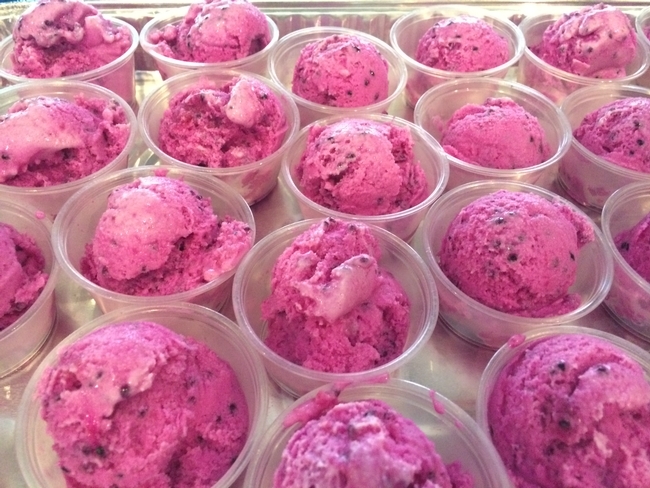 Samples of the fruit and pitahaya ice cream were served. 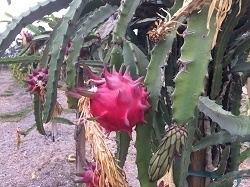 Additionally, attendees received cuttings from some of the Center's most popular pitahaya varieties, so they have the opportunity to grow their own at home. Interested in learning more about pitahayas? Read this article about Ramiro Lobo's research and be sure to check out the UC ANR's Alternate Fruit page about it here.